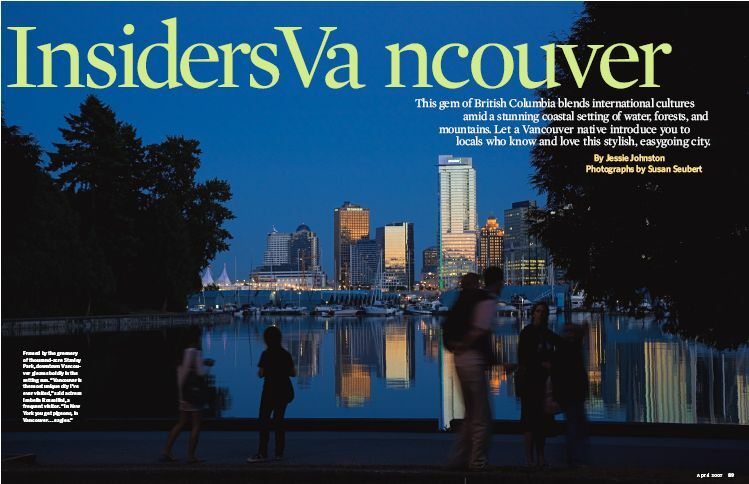 Everyone's got their eyes on this summer's Olympic Games in Beijing (and how one of the world's smoggiest cities will cope), but Vancouverites are already strategizing how to green their own Pacific city for the Winter Games in 2010. The city is planning to emphasize local employment, constructing the Richmond Oval's roof entirely out of British Columbia-sourced wood, and redeveloping a former industrial area, among many other sustainable initiatives. 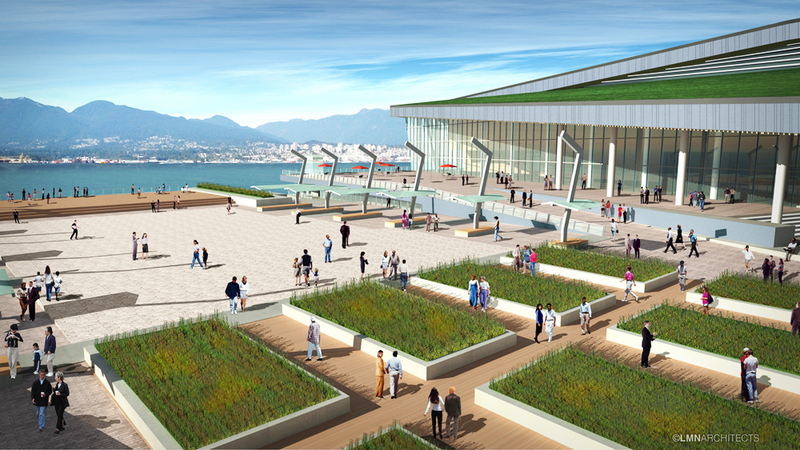 My eyes are on the Vancouver Convention & Exhibition Center (VCEC), which is expanding its 133,000-square-foot building to cover a total of 1.2 million square feet (that's four city blocks). The new LEED-certified building will feature a fish habitat, an on-site water treatment and seawater heating and cooling system, gray and black water recycling systems, as well as a six-acre "living roof," which will be home to 400,000 indigenous plants. The VCEC's earth-savvy efforts [pdf] earned it one of Canada's first "Go Green" certificates, and they also will purchase "Green Power" certifications--electricity generated in British Columbia from sustainable sources. By the time the expansion is completed in 2009, the convention center will be one of the greenest convention centers in the world. Sometimes bigger really is better. That's a gold medal in my book. From time to time Hotel Central editor Susan O'Keefe likes to check in with industry folks—from GMs to chefs and housekeeping staff—for a behind-the-scenes chat. She begins with a talk with Patrick O'Connell, proprietor and chef of the acclaimed Inn at Little Washington, an elegant English country hideaway in Rappahannock County, Virginia, tucked in the foothills of the Blue Ridge Mountains about two hours from Washington, D.C.
At the end of this month (Jan. 28), the Inn will celebrate its 30th anniversary. A gala dinner will be held on April 9 in Washington, D.C. that will benefit YouthAIDS. 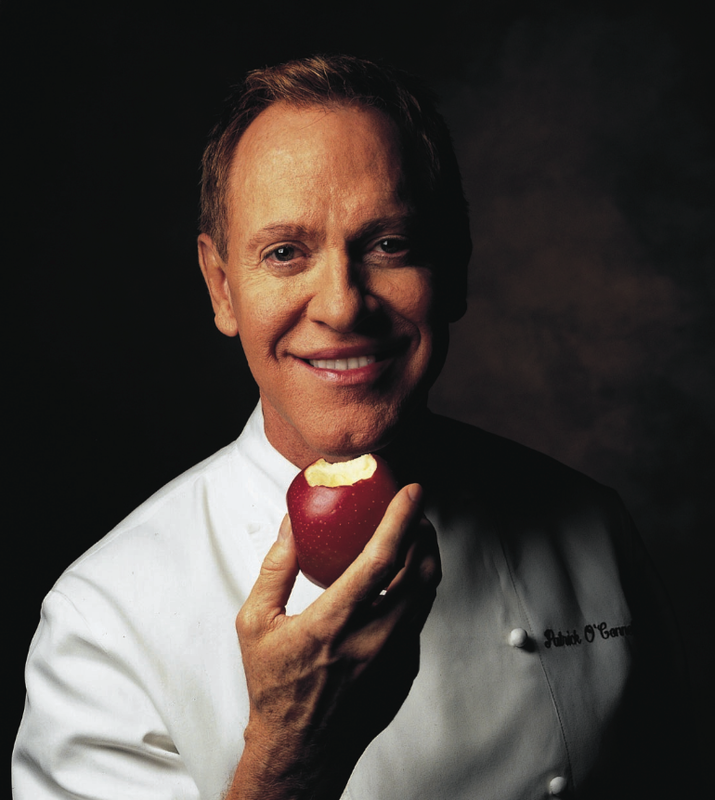 Foodies can snag one of the 500 tickets at $575 per person (includes wine and gratuity). Guests dining at the Inn's five-star restaurant from now until February 8 (except for Tuesdays and Saturdays) will receive a gratis glass of Dom Perignon champagne and a $30 gift certificate compliments of Patrick and his staff. Happy Anniversary Patrick. After 30 years and receiving nearly every award ever bestowed on a restaurant and inn, where do you go from here? We just keep going and continue doing what we're passionate about. We're becoming a self-sufficient farmstead with the recent addition of our own agricultural area that includes an orchard of Montmorency cherries—a small but full-of-flavor cherry that will be used in our jellies and clafouti dessert in the restaurant. We're raising a colony of bees for pollination and for creating our own honey, we'll introduce sheep and llamas that will graze in a meadow. We've developed a network of local farmers who custom-grow vegetables that aren't the size of my leg—small zucchini and eggplant that are flavorful. Pathways to this area will link to the inn and cottages and allow guests to walk to the orchards, see what's growing in the herb and vegetable gardens—all featured in our dishes daily. You added your kitchen ten years ago and designed it to look like the dairy room of Windsor Castle. Anything new being added to the Inn? This past summer we added the Claiborne House—named for my good friend Craig Claiborne who was the food editor of the New York Times—a fabulous two-bedroom hideaway with its own dining room, a library filled with Craig's cookbooks, living room, media room, and formal garden created by Dutch landscape designer Guy Williams. Craig celebrated his birthday in this house. We also have added the Gamekeeper's Cottage, a two-story retreat that is a departure from the opulent interiors of the Inn, and features a decor that I call "elegant rusticity." It has limestone floors, a stone fireplace, a large soaking tub, and an outdoor dining pavilion with pastoral views. Every detail looks as if it's been there forever. It will allow guests to have a closer connection to nature. What are some of the signature elements of the Inn that a guest can expect during their visit? The Inn offers a sense of place, but also a sense of personality. We gauge every guest's mood from the moment they set foot in the door, and make it our mission to make them happy and have their experience be life-changing. There are fresh flowers everywhere, our Dalmatian greets guests wearing a strand of pearls (appropriate since 30-year anniversaries are celebrated with pearls), tea is served daily in the library, breakfast can be brought to your room, if you prefer. We've already got plenty of reasons to like Natural Habitat Adventures, a tour outfitter whose work to offset all of their carbon emissions has made them, according to their claim, the "world's first carbon neutral travel company." But we were struck by the amount of effort they put into their mission, even during the off season. 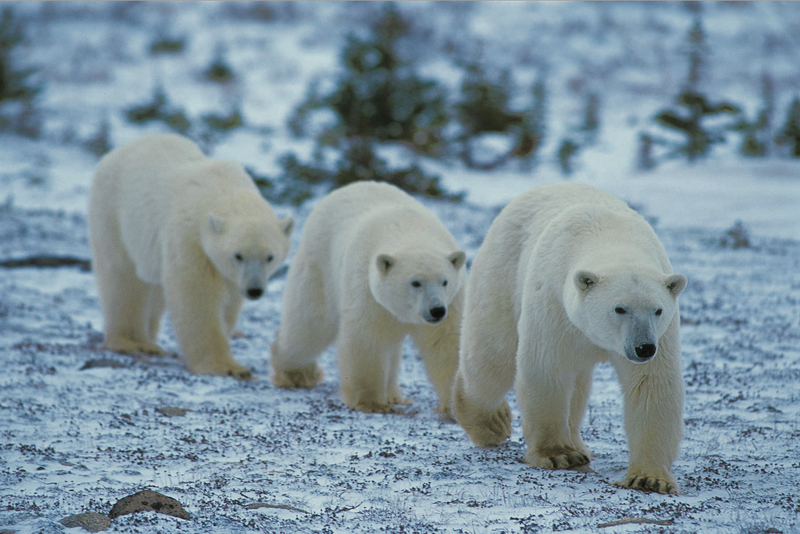 During October and November, the group runs polar bear expeditions to Churchill, Manitoba, a.k.a. the "Polar Bear Capital of the World." It got its moniker because each year, the bears gather on the ice while the tundra freezes, waiting until they can cross over Hudson Bay. Thousands of travelers visit Manitoba every year, so NHA started looking to extend their green habits to the hotels and other facilities they use in the area. They first decided to donate CFL lightbulbs to the properties to help them cut down on their energy costs. But the idea snowballed, so to speak, and after creating a partnership with Gaiam, a company that produces the bulbs, NHA created a "Bulbs for Bears" program for the entire city. They're now working with the mayor to distribute over 3,000 lightbulbs to homes and businesses throughout Churchill. They're also planning to provide the city with a bulb crusher, to ensure that when the bulbs do run out (they last an average of eight to fifteen times longer than regular bulbs) they won't pollute landfills with harmful chemicals. "We've always been very involved in different initiatives that concern climate change," said Matt Kareus, spokesperson for NHA. "Since a third of our travelers visit Churchill, we wanted there to be a way to educate [them] and do something that was directly related." Kareus also informed us that Churchill is one of the best places in the world to see the northern lights each spring. So we can't help but think it's appropriate that they get recognition not only for their natural lighting, but their interior lighting as well. Read More: Natural Habitat Adventures has cropped up on our Tours of a Lifetime list. Learn about other ways to conserve energy while traveling here. 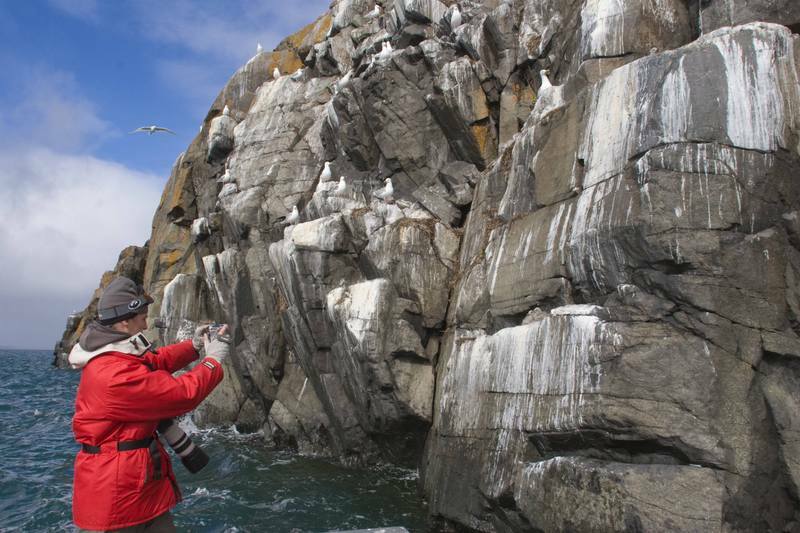 Frontiers North Adventures offers guided tours to the most remote destinations in Canada. At the Elu Inlet Lodge, located just south of Victoria Island in Nunavut, Canada, a knowledgable guide takes guests in a five-passenger skiff to explore islands in the Elu Inlet, and on nature hikes to see archaeological sites of ancient tent rings, kayak stands, and fire pits. Guests will also have a chance to learn about the cultural arts from local Inuit artists. What we like about the tour is that the Elu Inlet Lodge is owned and operated by Inuit, which means your money is going to help locals. (Frontiers North Adventures was nominated for Parks Canada Sustainable Tourism Award in 2006 for its efforts to encourage appreciation of Canada's cultural, natural, and aesthetic heritage.) The tour price includes two nights at Cambridge Bay, five nights at Elu Inlet Lodge, most meals, and round-trip airfare. Frontiers North has many other tours around the far reaches of Canada, including tours to the Hudson Strait, Igloolik (to see walruses), and Cape Churchill (to see polar bears). "We've got the best access in the world to wild polar bears," John Gunter, Frontiers North general manager, told IT. Because of that, they're able to provide one of their Tundra Buggies, as well as lodging and a wireless transmission to the cameraman for National Geographic.com's live Polar Bear Cam -- check it out! 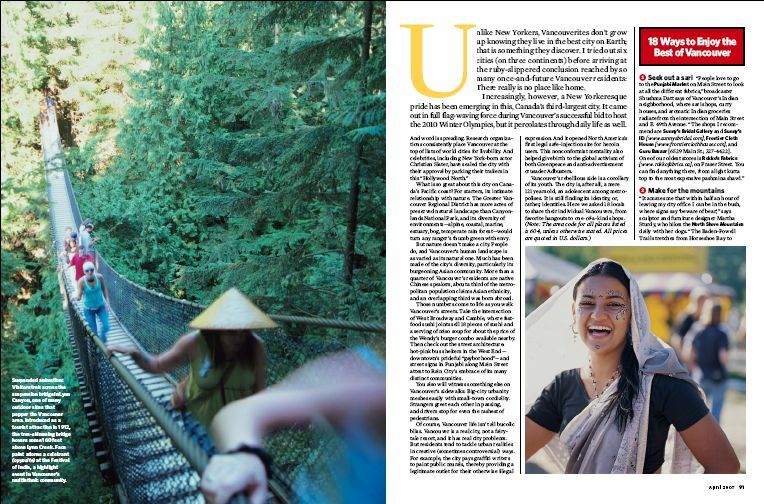 Welcome to Intelligent Travel's newest feature, "Talk to a Traveler," in which we make the most of our location in the nation's capital as a national—and international—tourist hub. With so many people seeking out our city's varied cultural offerings, we decided to turn the tables and ask what sights, attractions, activities, and meals we should check out when we wander into their hometowns. 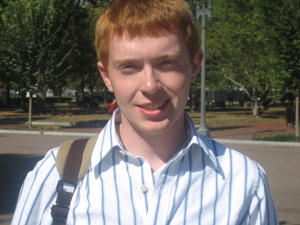 On a layover in Washington, D.C., 18-year-old Scott Macdonald hopped on the subway and headed downtown to visit some monuments. IT spotted him outside of the White House gates and got the inside scoop on his hometown in Antigonish, Nova Scotia. What’s your impression of DC? It’s great. It’s my first time here and the streets seem really clean, and the people are friendly, but there are a lot of hobos around. Considering it’s the nation’s capital, that’s not exactly impressive. Agreed. If people came to Antigonish, what would you recommend that they do? Definitely take a drive on the Cabot Trail on Cape Breton Island. It’s this really long, beautiful, scenic route that takes you around the north of the island. Nova Scotia is almost an island minus a small piece of land that connects it to the rest of Canada, so we’ve got a lot of great beaches too. Isn’t it too cold for the beaches? Summer is the best time to go. A lot of Europeans have summer homes in Antigonish because it’s a really nice climate, especially compared with the rest of Canada. But don’t go in January or February. It’s freezing then—like minus fifteen Celsius! As you know, IT loves its lights. 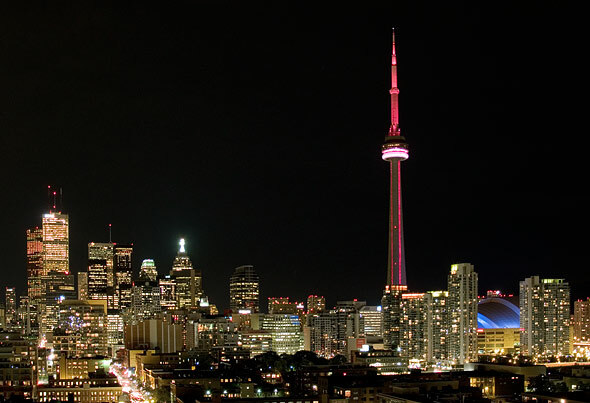 So we proudly introduce you to Toronto's CN Tower, which now lights up in many colors and uses LED technology (Light Emitting Diodes), creating these lighting effects that use 10% less energy than the old lighting system. The new display was inaugurated on June 28 and has been treating Toronto residents and visitors to a different light show every night. Each lighting fixture can produce 16.7 million color combinations, all controlled digitally from a single computer console. The best part? The lighting effects are not stationary, but pulse and flow and zoom, as you can see in this YouTube video. The LED bulbs are expected to last ten years, which means less maintenance and fewer bulbs used. Another plus? The lighting will be dimmed during spring and fall bird migration seasons—the CN Tower has been a longstanding participant in this volunteer-run program that encourages buildings to dim unnecessary exterior lighting to mitigate bird mortality during spring and fall bird migration. Anna Maria Island, Florida The hidden beach destination Floridians escape to, Anna Maria Island has somehow managed to keep condo towers, all-fast-food chains, amusement parks, and glitzy mega-resorts off its shores. In fact, no construction on this seven-mile [11-kilometer] long barrier island on Florida's Gulf Coast is more than three stories tall, Subway is the only franchise, and 60 percent of its land is open beach. And, it's affordable, especially in the summer. You can rent vacation homes with water views and pools for well under $1,000 per week and get seafood entrees at beachfront restaurants for under $15.